Rat glue boards are sometimes also referred to as rat glue traps or sticky rat traps. The type we supply are exactly the same as the ones most widely used within the UK's pest control industry. These should not be confused with the lightweight card variety, which tend to be too flimsy to trap even a small rat, regularly proving to be a complete waste of money! 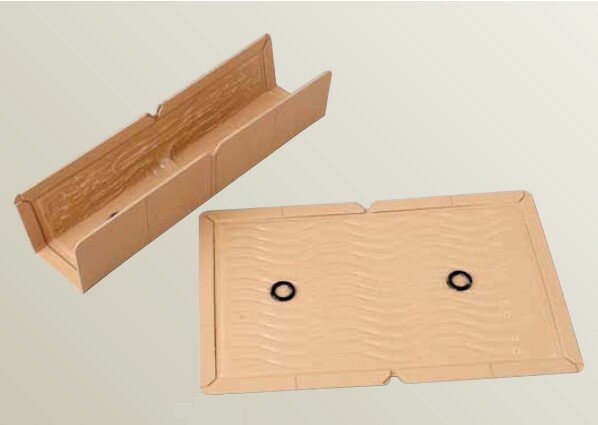 Our rat glue traps are produced on a heavy duty plasticised board, which is then covered with an extra strong adhesive. Measuring 34 x 22cm, they are also considerably bigger than most on the market. At gluetraps.co.uk we specialise in the supply of only professional standard, industrial strength glue traps to the pest control industry, commercial businesses, and domestic residential customers. Includes Free Next Day Delivery! FOR SMALLER PACK SIZES OF OUR PROFESSIONAL RAT GLUE BOARDS / RAT GLUE TRAPS, PLEASE SEE RELATED PRODUCTS BELOW, OR CLICK ON 'RAT GLUE TRAPS' TAB IN TOP LEFT CORNER!